Murcia is an historic city in the south-east corner of Spain. It is a vibrant university city with a multicultural community. 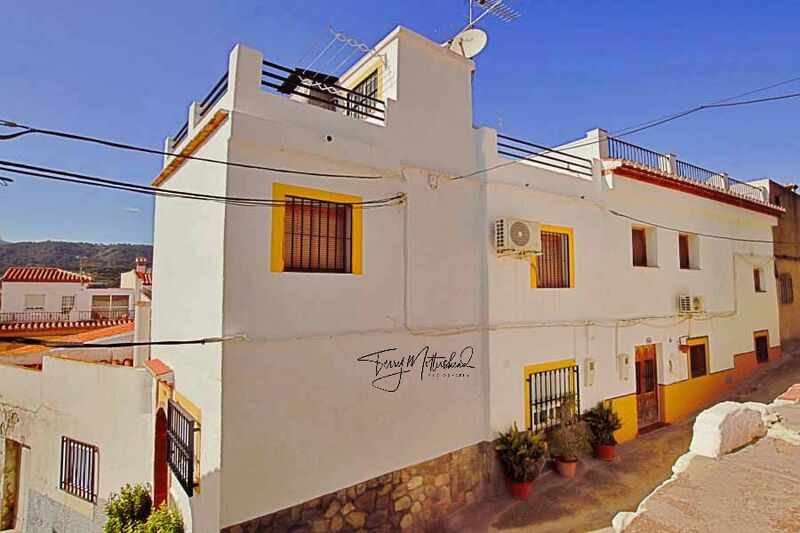 It is close to the beaches, golf courses and popular tourist destination of La Manga. Property prices are good at the moment with many bargain homes for sale. 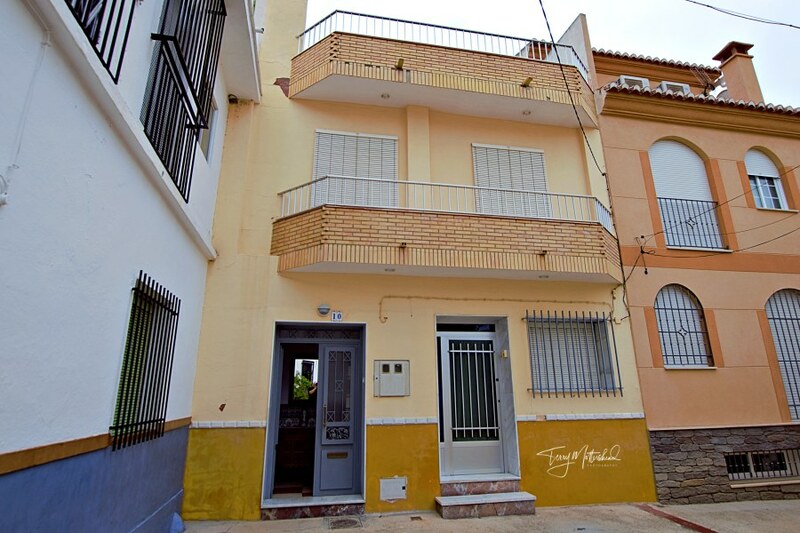 This is an ideal area for buying investment property as there are around 35,000 students at Murcia University as well as tourists and business people seeking rented accommodation. Properties for sale in Murcia include villas and apartments either in the historic centre or on the outskirts. 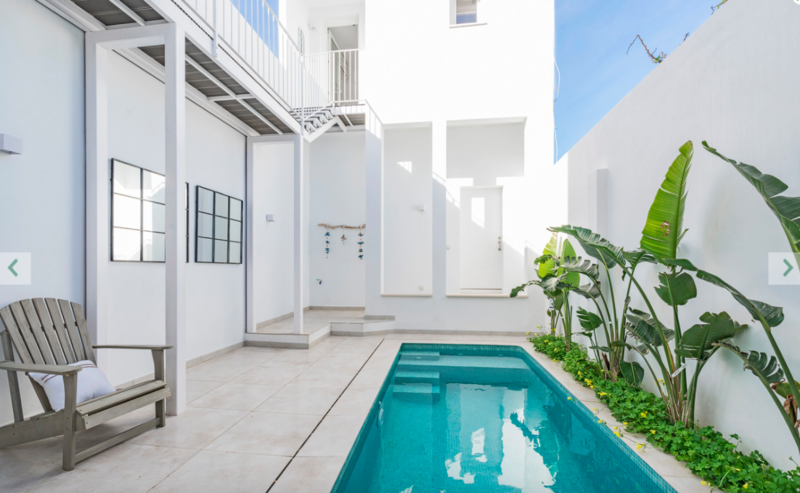 Many of these are available through the award-winning real estate agency Girasol Homes, whose experts can help you to find the home of your dreams for sale in Murcia. Murcia has a thriving tourist industry with visitors attracted by the temperate climate, culture, cuisine and sports facilities. The regional capital and university city on the River Segura is a lively, cosmpolitan centre with grand hotels, fancy restaurants, top shops and a colourful nightlife. It is a compact city and easy to get around. The 15th century Gothic cathedral dominates the main square where there are many other beautiful historic buildings, shops, cafes and restaurants. Here you can enjoy the finest regional, national and international cuisine. Murcia cuisine is centred around its local produce such as peppers, tomatoes, fish, cheese and lamb. Rice plays a fundamental part in the Murcian diet as it is grown in the nearby Calasparra region and some consider it to be the finest in Spain. Murcia enjoys many fiestas but its Easter processions are among the most famous in Spain, when life-size, finely detailed sculptures by the 18th century artist, Murcia-born Francisco Salzillo are taken out of the museums and paraded around the city. The colourful Orchard procession takes place about a week later. Two international airports are close to Murcia with Alicante being 70kms away and San Javier just 45kms. Several long-distance trains and coaches link the city with Madrid and other major Spanish cities including Valencia and Barcelona. There is a local bus service and trams throughout the city centre and the suburbs. Road links are very good with main roads connecting Murcia to Cartagena to the south and Alicante to the north. Murcia is a fine destination for sport lovers with numerous golf courses nearby as well as being home to Real Murcia football team, whose past coaches include the former Liverpool star John Toshack.Sports lovers have an endless choice of activities including hiking, horse-riding, cycling, paragliding, diving, canoeing and caving, which are within easy reach of Murcia. There are also many splendid golf courses and tennis courts close by. Murcia is also a great destination for shopping as Spain’s top department store El Corte Ingles is in the centre, and there’s also a weekly market as well as shopping centres nearby such as Thader and Neuvo Condomina. There is also a large Ikea and Primark close to Murcia. 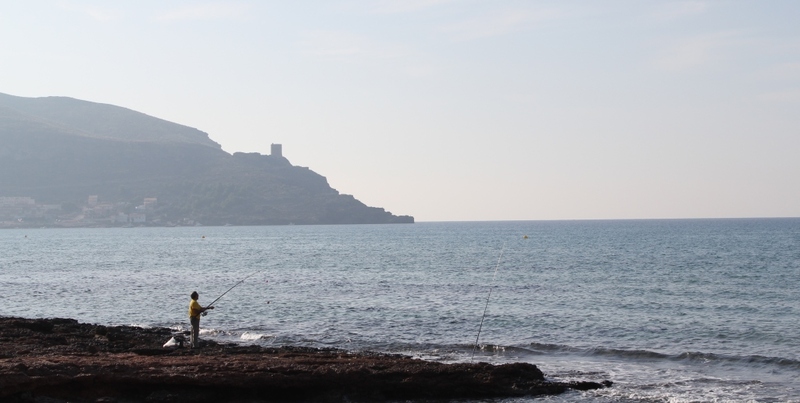 Beaches are about an hour‘s drive from the city, including the fabulous beaches at Torrevieja, Mar Menor and La Manga. 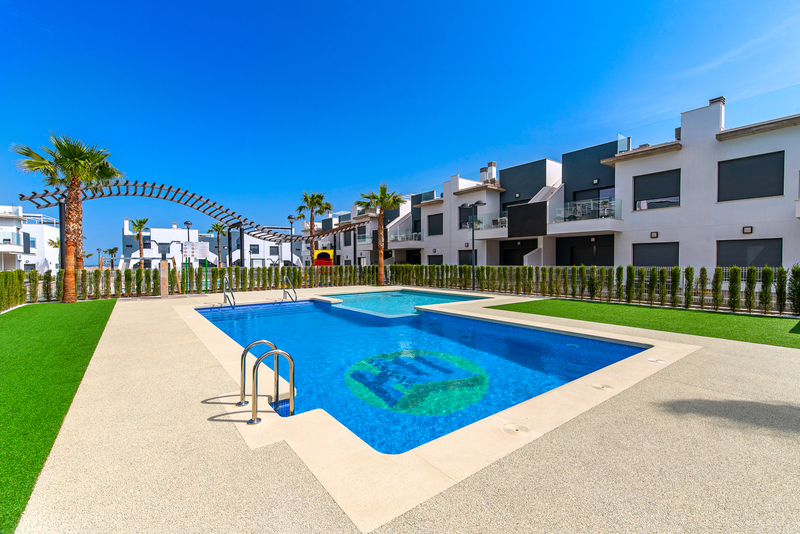 On offer here is a wonderful development of key ready new build apartments for sale on La Torre Golf Resort  just a 20-minute drive from the coast... cont. 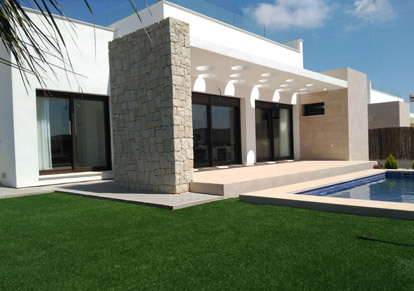 Villa Primavera is located in a wonderfully peaceful setting next to the 18 hole, 72 par Jack Nicklaus signature Golf Course of Condado de Alhama,... cont. Newly built apartments located around the Condado de Alhama Golf Course with beautiful views of the countryside, Murcia... cont. 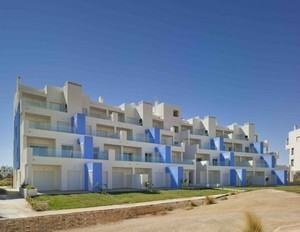 A brand new development is on show here located in the lovely Spanish town of Lorca in Murcia... cont. 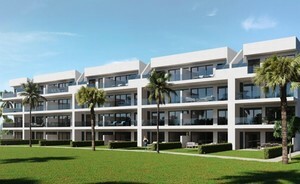 This residence is located in Condado de Alhama, golf resort of Mar Menor. Building of 4 floors with solarium... cont. A superb opportunity to purchase a stunning luxury large modern detached villa located in the stunning countryside, but just 20 minutes from... cont.